"I'm going to steal their Christmas…!" Universal & Illumination have revealed the second official trailer for Dr. Seuss' The Grinch, their new animated take on the classic Christmas story about the lovable green grump the Grinch. Benedict Cumberbatch voices the Grinch. No other voice cast members have been revealed yet, Cumberbatch is still the only one listed. "The Grinch tells the story of a cynical grump who goes on a mission to steal Christmas, only to have his heart changed by a young girl’s generous holiday spirit. Funny, heartwarming and visually stunning, it’s a universal story about the spirit of Christmas and the indomitable power of optimism." This looks like another cash grab retelling of the classic holiday story, with some of Illumination's usual animated quirks. It looks amusing, but not as good as the original cartoon. You can still watch the first official trailer for Dr. Seuss' The Grinch movie here, to see the original reveal. Each year at Christmas they disrupt his tranquil solitude with their increasingly bigger, brighter and louder celebrations. When the Whos declare they are going to make Christmas three times bigger this year, the Grinch realizes there is only one way for him to gain some peace and quiet: he must steal Christmas. To do so, he decides he will pose as Santa Claus on Christmas Eve, even going so far as to trap a lackadaisical misfit reindeer to pull his sleigh. Meanwhile, down in Who-ville, Cindy-Lou Who—a young girl overflowing with holiday cheer—plots with her gang of friends to trap Santa Claus as he makes his Christmas Eve rounds so that she can thank him for help for her overworked single mother. As Christmas approaches, however, her good-natured scheme threatens to collide with the Grinch’s more nefarious one. 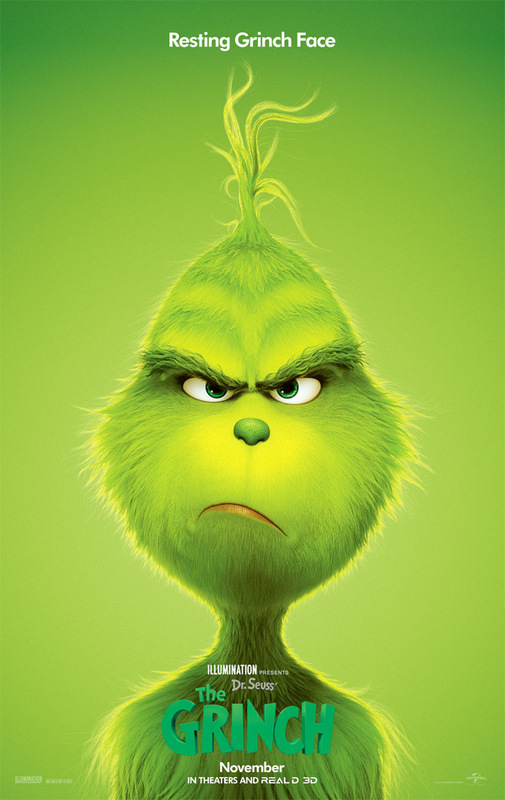 The Grinch is directed by filmmakers Scott Mosier (veteran producer) & Yarrow Cheney (co-director of Pets), for Illumination Entertainment. The screenplay co-written is by Ken Daurio, Michael LeSieur, Cinco Paul, based on the book. Universal will release The Grinch in theaters everywhere November 9th this fall.